Amazon has 183 million unique visitors monthly. And the figure continues to grow. Sure we know Amazon is beyond the competition. 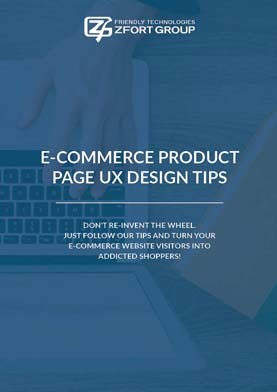 But we have some UX insights based on Zfort’s experience with 53 online stores we’d like to share and help you deliver a better shopping experience. 77% of customers read reviews before buying something online. Maybe it’s high time to do the work on mistakes? Advice on the goods upsell methods.